Get Exclusive Extras and Savings! From intimate gatherings in our private dining rooms to extravagant buyouts in our iconic landmark locations, your holiday party can be made unforgettable with the award-winning Patina Restaurant Group. Our Special Events teams can develop customized menus and offerings that are sure to wow your guests. Book any time between now and November 30th to receive a special bonus, see below for specific details. We look forward to hosting you at our holiday table! Catal is a sophisticated restaurant offering an eclectic menu of an American, Mediterranean-style favorites, from grilled seafood to signature burgers and a wide variety of gluten-free dishes. 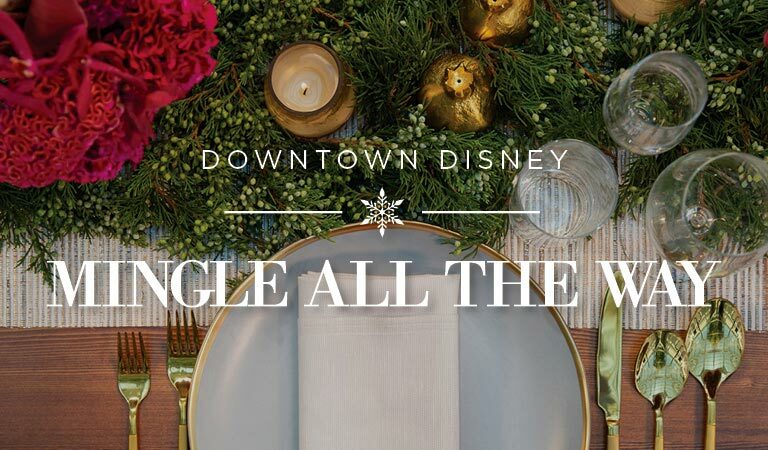 It offers spectacular outdoor dining and incredible views of Downtown Disney and the Disneyland fireworks. Naples serves fresh Neopolitan-style pizza, pasta and salads in a fun, family-friendly atmosphere. Offering both indoor and outdoor seating, an open kitchen and two-story, glass-enclosed wine cellar, Naples is the perfect location for gatherings of all sizes. Celebrating the culinary heritage of Mexico, Tortilla Jo’s offers fresh, south-of-the-border cuisine, including its famous table-side guacamole. A sweeping view of the promenade is available from the outdoor patio and balcony, each equipped with a fully stocked bar, and the indoor cantina is home to 100 types of tequila -- all providing a vibrant dining and event experience. Receive a $50 gift card for every $500 spent in food & beverage. Gift cards will be mailed no later than 7 days after event is paid in full. Cannot be redeemed for events already under contract. Not to be combined with any other offer or promotion. Must be booked by November 30, 2018 for holiday events through December 30, 2018.